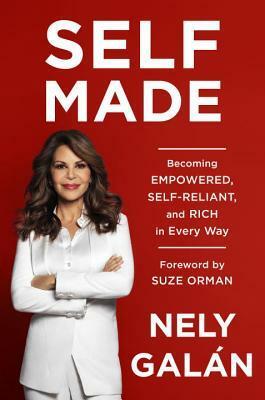 Ladies, if you want to become empowered to change your life and have your own ish, then this book here, Self Made, is just the book you need to read! I found this book to be enlightening and informative. Not only did Nely give readers confidence to step out and own your own chips, she also includes tips and advice on ways to do it, which I find is lacking in many books about this topic. Naturally, the advice given is not going to be applicable or relevant for every woman, as all of our lives are different, but I think there are lots in this book for everyone to learn from. Take what you can use, as there is much advice here, and run with it! Additionally, I appreciated her advice of working on our mental health too. Often times, we are all messed up! We need therapy, Iyanla, somebody to help us fix our lives! Like Nely, I think it’s important to clean up our hang ups, regrets, and disappointments, oh, and most importantly, to kill our idea Prince Charming. Yes ladies, no man (or woman) is going to save us. No one is going to come along, rescue us, and give us our big breaks. We have to do it ourselves. Be your own Princess Charming. I needed to read that. If you couldn’t figure it out, I am glad I read this book. She did not appear condescending or entitled like some celebrities can when writing business and success books. I think this book, especially the inspiring exercises included in each chapter, can help any woman out here live her best life. I sure am motivated to get to work on making and living mine.